Tanya is a recipe for healthy spiritual living. Similarly, all words and all thoughts that are not directed to G‑d and to His Will and His service are all garments for the animal soul. For this is the meaning of the term sitra achra — literally “the other side,” i.e., not the side of holiness. Thus, whatever does not belong to the realm of holiness is sitra achra. But what, in fact, does the realm of holiness encompass? The side of holiness is nothing but the indwelling and extension of G‑d’s holiness. or whether [it is a] potential [surrender], as in the case of every Jew here belowin this physical world, who has the capacity for surrendering himself completely before G‑d, through martyrdom for the sanctification of G‑d’s Name. As explained further in the Tanya, every Jew has the capacity for such self-sacrifice; in the face of an attempt to coerce him to forsake Judaism he will willingly suffer martyrdom. Thus, every Jew possesses internally within his soul the potential for surrender to G‑d, whatever his external state; this potential, however, may reveal itself only in the act of martyrdom. Because he is surrendered to G‑d, G‑d’s holiness rests upon him. For when one engages in Torah study his surrender to G‑dliness emerges, to affect him on a revealed, external level, since such study entails setting aside one’s own notions and presumptions in order to understand and accept G‑d’s wisdom and Will as expressed in Torah. It is this surrender to G‑dliness that causes the Divine Presence to rest upon the Torah student. Also,7 “On each gathering of ten Jews the Divine Presence rests” always;together, ten Jews form a “congregation of Israel,” which is a fit abode for the Divine Presence. But where else would it receive its vitality? G‑dliness and holiness is the source of vitality for every existing being, as it is written, “You give life to them all” (Nechemiah 9:6). 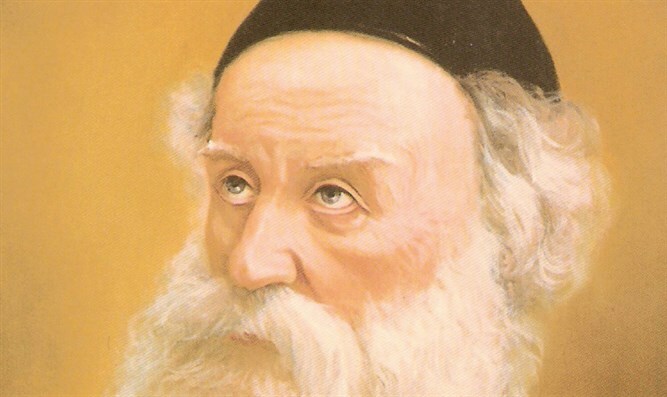 The Alter Rebbe goes on to qualify his previous remark, stating that those beings who do not surrender themselves to G‑d receive their vitality only from a superficial, external level of G‑dliness; and from this level, too, only when it descends degree by degree through numerous “contractions” of the life-force. 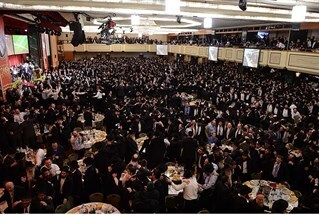 To return to the Alter Rebbe’s words: The self-styled separate being does not receive its vitality from the pnimiyut, the inner aspect of holiness, from its every essence and core, but from its achorayim, its “hind-part”, so to speak. To bestow from one’s “pnimiyut” (literally, one’s “face”) means, as explained in ch. 22, to give with a pleasurable will and desire; “achorayim” (literally, “behind one’s back”) means to bestow without desire or pleasure, out of some extenuating factor. The giver’s attitude will be apparent, in either case, in his manner of giving. If one gives something to his enemy, for example, he will avert his face from him, for one’s face represents his inner feelings; since the giver’s heart is not in his gift, he turns his face away, presenting his enemy with his rear. Thus, pnimiyut and achorayim in the sense of internal and external aspects (of one’s will) are related to their literal meanings of “face” and “rear”. In our context, everything in the realm of holiness, whose existence and life G‑d desires, receives its life from the pnimiyut of G‑dliness; while the kelipot, in which G‑d has no desire (since He created them only for the reasons given in the paragraphs introducing this chapter), receive their life from the achorayim of G‑dliness. This limited form of life-force reaches the kelipot by descending degree by degree through myriads of levels, in the chain-like descent of the worlds, in the manner of cause and effect. The vitality descends also through many tzimtzumim, or contractions — and this process diminishes the vitality to the point where it is incomparably lower than in its original state. So greatly diminished does the light and life-force become, diminution after diminution, until it is able to become contracted and clothed in a manner of exile,meaning that instead of being surrendered to the Divine life-force, the object in which the vitality is clothed masters it; as, for example, a captive in exile is mastered by his captors. so that is does not return to its original state of non-existence, as it was before it was created by the vitality clothed in it. In brief: All that is not surrendered to G‑d, but considers itself separate from Him, receives its vitality from the achorayim of G‑dliness by way of numerous descents and various contraction. The Divine life-force is concealed within it in a state of exile; thus it belongs to the realm of kelipah. It is now clear why any thought, word or action not directed toward [serving] G‑d — hence, not surrendered to G‑dliness — is a garment of the animal soul that derives fromkelipah, even if that thought, word or deed is not actually evil. That is why this world with all it contains is called the world of kelipot and sitra achra — despite the fact that this world, too, receives its vitality from G‑d’s holiness. Since the creatures of this physical world feel themselves to be independent, separate beings, and their surrender to G‑dliness is not apparent, they automatically belong to the realm of kelipah. This is also why all affairs of this world are severe and evil, and the wicked prevail in it (as is written in Etz Chayim, Portal 42, end of ch. 4). 1.Kohelet 7:14. See Zohar III, 47b. 3,Comparison of the Alter Rebbe’s description here of the faculties of the animal soul, with his description — in ch. 3 — of the divine soul, yields several significant differences. In ch. 3 theseichel faculties are given first; here middot precede seichel. In both cases the seichel is said to be the source of middot; yet, whereas in ch. 3 this is explained to mean that seichel “gives birth” tomiddot, here it is stated only that middot are “commensurate” with the quality of seichel. These variations arise from the fundamental difference between the nature of the divine soul and of the animal soul. The divine soul is essentially intellective (wherefore it is called Adam, which, of the various Hebrew words for “man”, means “man, the intelligent being”). Its middot actually arise out of the seichel; i.e., its emotions of love and fear of G‑d stem from the seichel’s contemplation of His greatness. The animal soul, on the other hand, is essentially and instinctively passionate. It inclines naturally towards physical pleasures, and need not ponder their desirability in order to desire them. Here, the seichel serves merely to steer and channel the development of middot.Therefore the general quality of its middot reflects, and is commensurate with, the general state of its seichel.